Star trails over the ruins of Llanthony Priory in Brecon Beacons National Park, Wales. Photo by Michael Sinclair. 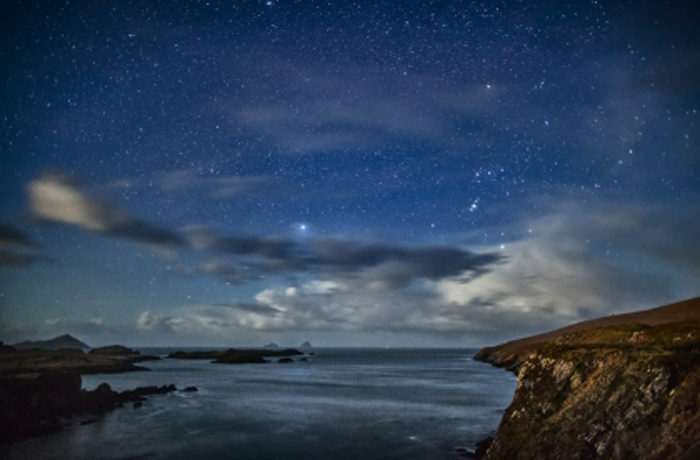 Ireland and the United Kingdom are home to 12 IDA International Dark Sky Places. That’s a lot of protected night skies! Learn more about these inspiring places working to fight light pollution and educate the public about the importance of dark skies. Brecon Beacons International Dark Sky Reserve. Photo by Geoff Moore via Flickr (CC 2.0). 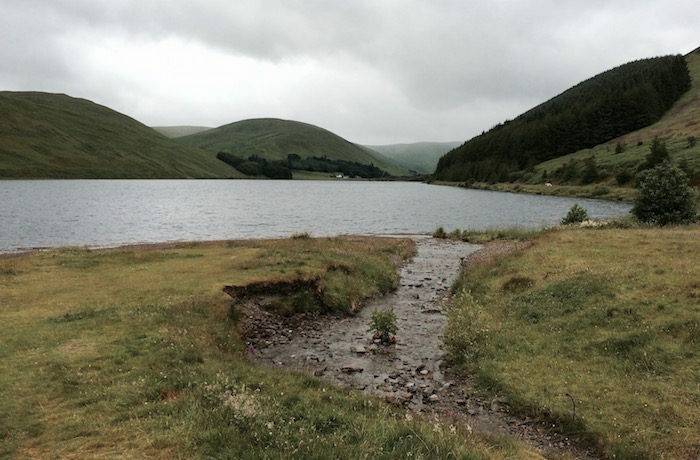 Brecon Beacons is situated in a part of south Wales where sheep outnumber people 30 to 1. A secluded utopia for stargazing and appreciating the natural nighttime environment, the Dark Sky Reserve is home to some 33,000 residents and is within easy access of over a million people. 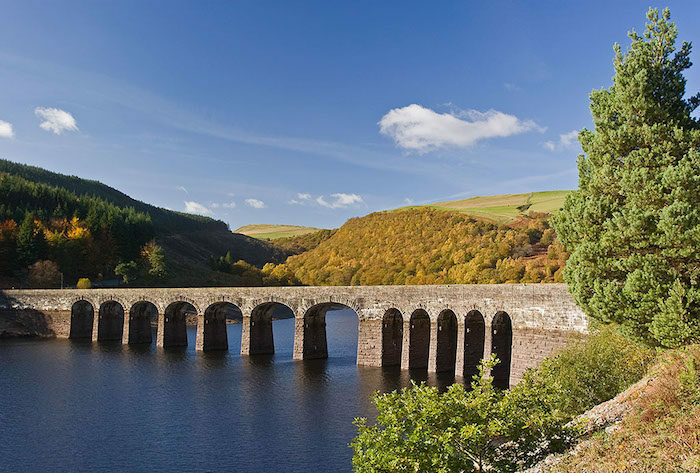 The Elan Valley of central Wales situated along the mountainous “spine” of Wales places it roughly midway between the IDA International Dark Sky Reserve at Brecon Beacons National Park in the south and Snowdonia National Park, an IDA International Dark Sky Reserve, in the north. Exmoor International Dark Sky Reserve. Photo by Shrininviolet via Flickr (CC 2.0). 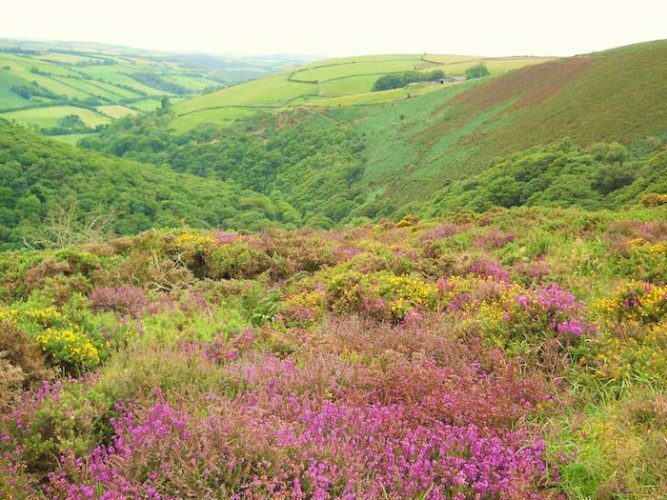 Located in the southwest of England in Somerset and Devon Counties, Exmoor National Park enjoys some of the darkest skies in the country yet offers relatively easy access from urban hubs. The mostly moorlike land core area includes Bronze Age burial mounds, a site of Special Scientific Interest at Dunkery Horner Wood National Nature Reserve, the deserted medieval settlement of Hoccombe Combe, and a recreational building used for astronomy events. Clatteringshaws Loch in Galloway Forest Park, Scotland. Photo by James Hilder. Galloway Forest Park is located in southern Scotland in the Dumfries and Galloway council area and is the UK’s largest forest park at 78,000 hectares. 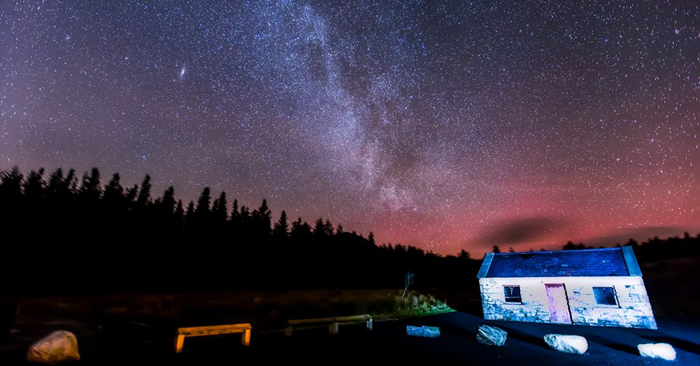 The remoteness and sparse population of the area combined with its lighting management plan ensure that Galloway Forest Park’s skies will remain pristine for generations to come. 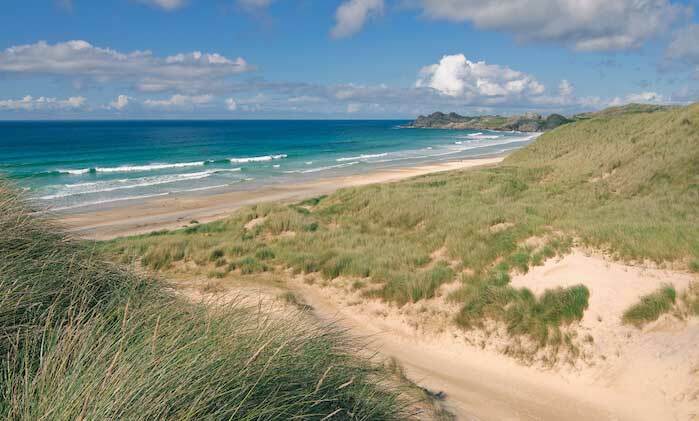 Coll lies among the Inner Hebrides about 10 km west of coastal Argyll and hosts just over 200 permanent residents. It attracts dozens of bird species according to the Royal Society for the Protection of Birds, which owns an extensive reserve at the west end of the island and hosts one of Collʼs recognized night sky viewing sites on its land. Nature tourism in part draws thousands of visitors to the island each year. Isle of Sark, an International Dark Sky Community, Photo by Peter Capper (CC 2.0). 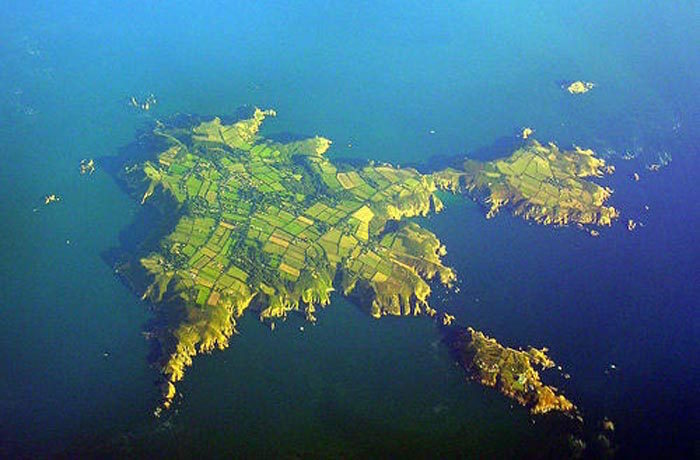 Sark, a Channel Island protectorate of the UK near the coast of Normandy, is Europe’s first International Dark Sky Community. The island’s blend of history and culture attracts up to 40,000 tourists per year. Sark has neither public lighting nor motor vehicles beyond tractors used for farming; life on this singular island connotes a step back in time. A rich Milky Way is visible thanks to Sark’s offshore location, its generally low use of residential and commercial electricity, and its striking absence of public street lights. Night sky over the Skellig Islands, Ireland, at the Kerry International Dark Sky Reserve. Photo by Peter Cox. Kerry sits on the Iveragh Peninsula, home to nearly 4,000 residents, and incorporates approximately 700 square km of territory along the Wild Atlantic Way tourism trail. The night sky has captivated the people of Ireland for millennia. Nearly 6,000 years ago, the Neolithic inhabitants of the Iveragh Peninsula built stone monuments incorporating alignments to track cycles of the Sun, Moon, and stars. According to some experts, ancient Ogham-language inscriptions found in the region may depict celestial observations. Ballycroy National Park and Wild Nephin Wilderness are jointly recognized as Mayo International Dark Sky Park. A Gold tier classification is an honor reserved for the most exceptional of dark skies and stunning nightscapes. The park protects one of the largest expanses of peatland in Europe and supports a diversity of species in a unique habitat; it is especially important in this regard as it is one of the largest remaining examples of a blanket bog habitat remaining in Western Europe. Moffat International Dark Sky Community. Photo by Bob Hall via Flickr (CC 2.0). 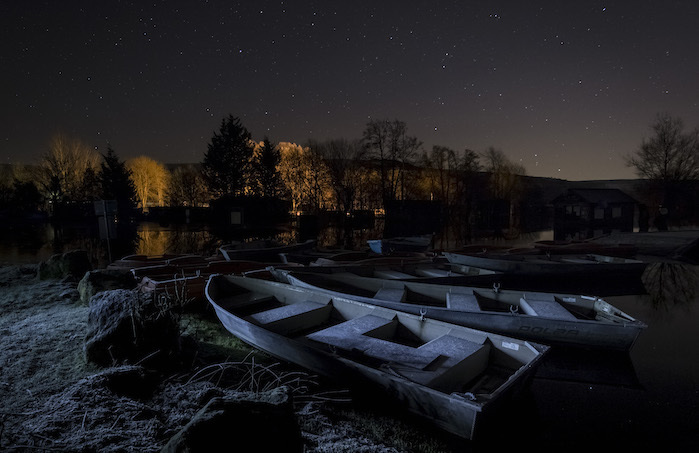 The village of Moffat, Scotland, a Dark Sky Community, is located along the River Annan in southern Scotland, United Kingdom. Home to about 2,500 residents, the former spa town was once a favored haunt of the Scottish national poet Robert Burns. Today it caters to a small but growing tourism base as a main aspect of the local economy. The Northern Lights at Northumberland National Park and Kielder Water & Forest Park, an International Dark Sky Park. Photo by Herdiephoto via Flickr (CC 2.0). 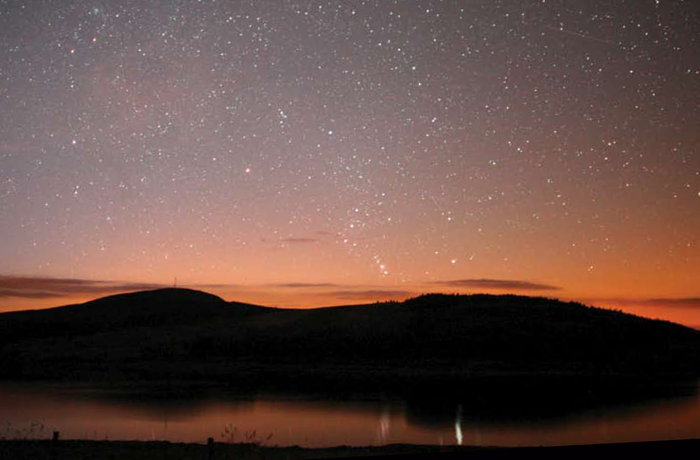 Northumberland National Park and Kielder Water & Forest Park comprise the first IDA-recognized International Dark Sky Park consisting of two independent parkland units. 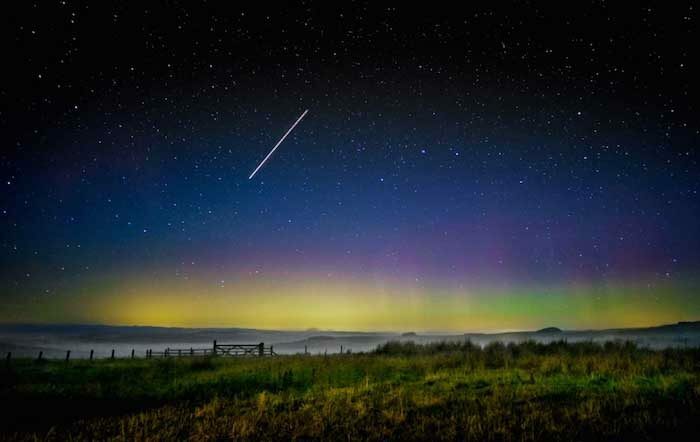 Once at the frontier of Roman Britain where Hadrianʼs Wall repelled Pictish invaders, Northumberland International Dark Sky Park now serves as a bulwark against the incursion of harmful light pollution into one of the darkest locations in England. 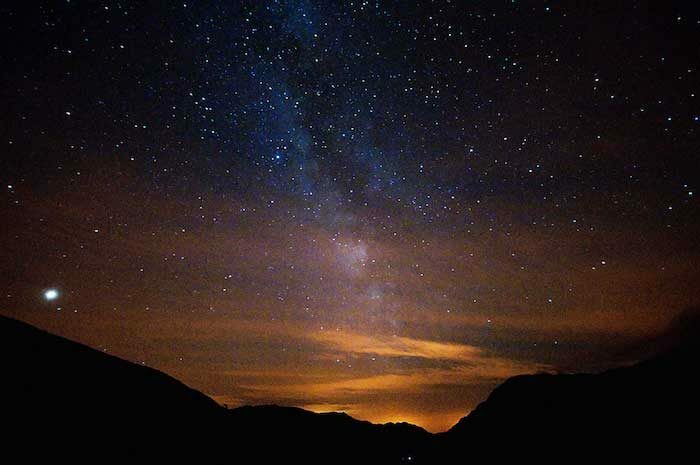 Snowdonia International Dark Sky Reserve. Photo by Carl Jones via Flickr (CC 2.0). Snowdonia National Park sprawls over more than 2,100 square kilometers of territory – some ten percent of the total land area of Wales. The terrain of Snowdonia largely consists of the mountainous lands that run the length of Wales, although its lower reaches extend into coastal areas. The rugged interior of the park supports little human settlement to this day, and consequently has created a naturally dark haven separate from coastal cities. 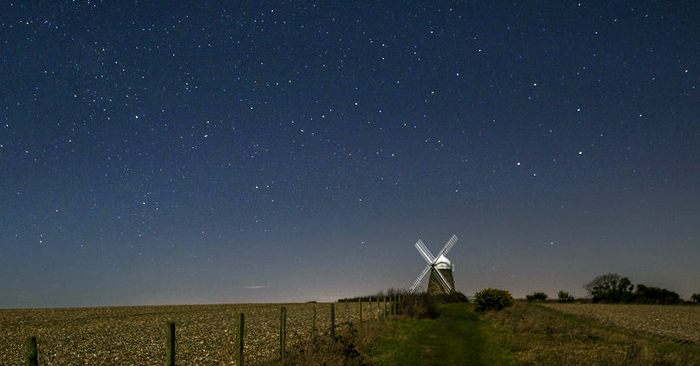 The eighteenth century Halnaker Windmill lit by moonlight. Photo by South Downs National Park Authority. The entirety of the park lies within about 100 km of the edge of the greater London metropolitan area, among the most light-polluted metropolises on Earth. It is remarkable that any relatively dark areas remain between London and the south coast of England. The “Downs” are named for an area of chalk downland, deriving from a Celtic word meaning “hills.” The Dark Sky Reserve is named in honor of the numerous contributions to British astronomy made by area resident and native son, Sir Patrick Moore, CBE, FRS, FRAS (1923–2012).